Lord Hanuman symbolizes strength, unparalleled devotion and selfless service. Being the greatest devotee of Lord Rama, He is loved, respected and revered for His unflinching devotion. 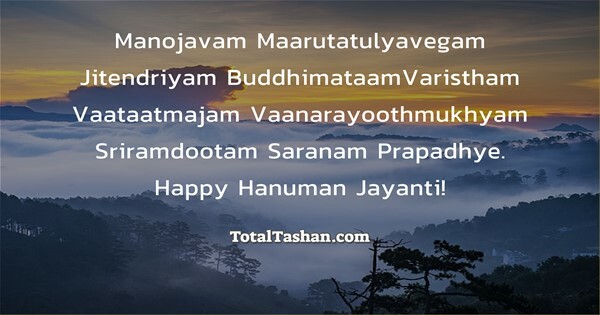 Wish you all a blessed Hanuman Jayanti! 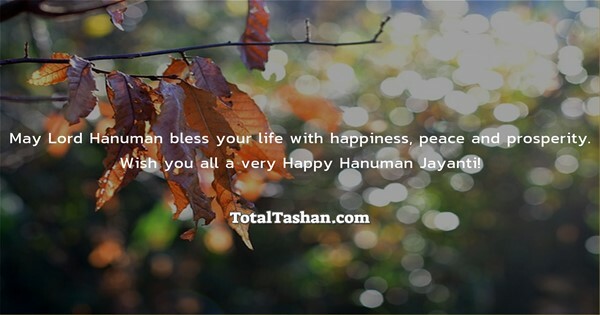 Wish you all a very Happy Hanuman Jayanti! Best wishes on this Hanuman Jayanti! Hanuman is worshiped as a symbol of physical strength, perseverance and devotion. May Lord Hanuman give you His strength, bless you with His perseverance and May He grant you the art of devotion as He had for Lord Rama! 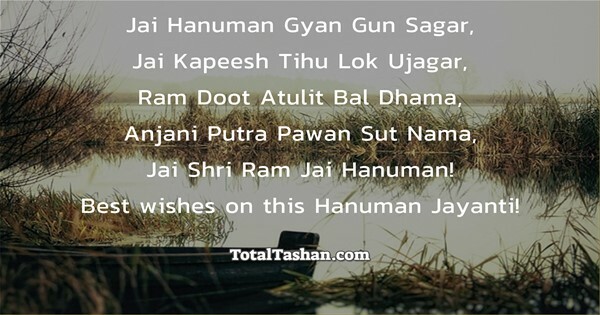 Wish Happy Hanuman Jayanti!